This tastes like an experienced person made it. Like it took hours to prepare. Like you belong in a bakery, making everything taste like happy. But in reality? Five minutes. Seriously. 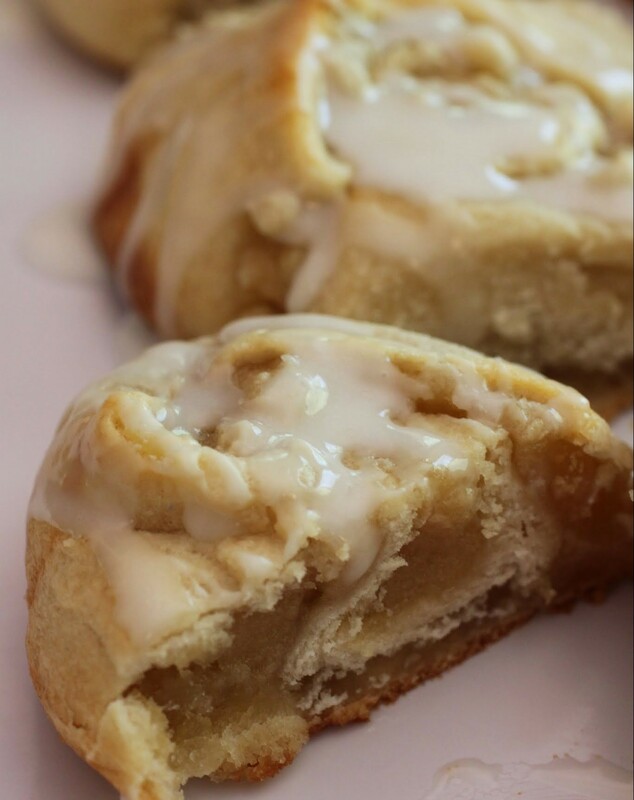 These take five minutes to make! Mothers are important, and I think Mother’s Day exists because everyone is afraid of incurring Mom’s wrath. After all, when mothers get pissed off, the very heavens shake. I have a great mom. We live close to one another and we talk a lot. I think she’s gotten used to me over time, considering how different we are. Like, she is not so into the baking. Or the reality TV. Or the copies of US Weekly hidden in the recycling. Nope, my mom is into classical piano, gardening, and visiting art galleries. But we do have a lot in common past the surface, like a pretty strong work ethic. We both work our butts off. And we share the same core values, which is pretty much where it’s at. The past few days, my mother and father watched our children so Kenny and I could have a getaway to Hershey, PA. We stayed in the resort and it was fabulous. I’ll post that one another day. But how could I not show my appreciation for parents like that? So, these almond sweet rolls were inspired by my mom. She loves marzipan or anything almond, and when she ate these, she loved them enough to take a few with her. That’s saying a lot, because my mom has crazy willpower. 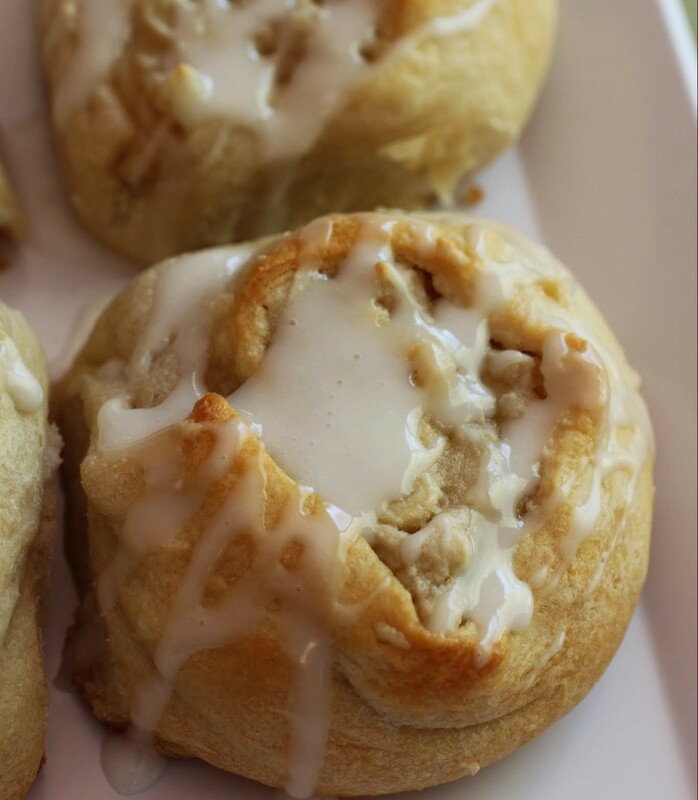 All you need here is four ingredients: crescent roll dough, almond paste, brown sugar, and an egg. You mix those last three ingredients up (preferably in a mixer) and then roll them up with the dough. It couldn’t be simpler. And the glaze is super easy, too. Take a look at the recipe and you’ll see! 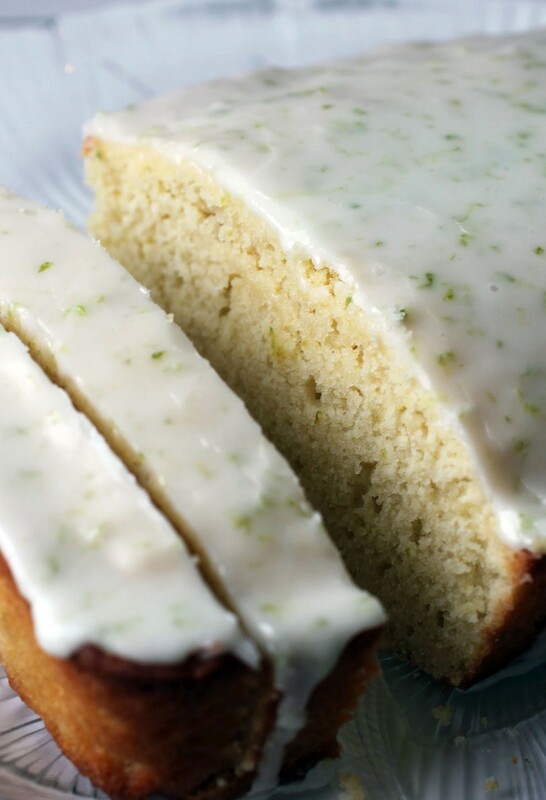 This Mother’s Day, you have no excuse not to bake, even if you’re not a baker. I’ve taken care of that for you. So keep the mom in your life happy and make her something special! Preheat the oven to 350. Line an 8-inch square pan with foil, leaving enough to hang over the sides. Coat with cooking spray. Set aside. On parchment paper or a silicone baking mat, roll out the crescent dough and press the triangle seams together. You want to wind up with one large rectangle. In the bowl of a stand mixer, beat the almond paste with the brown sugar and egg until well combined. Using a knife or spatula, evenly and liberally spread the almond mixture over the crescent dough, extending out nearly to each edge. Roll the dough up by the short end so you wind up with one long strip. Using a sharp serrated knife, cut the dough strip into equal pieces. It should make six even rolls. Place the rolls in the pan. They may not fill the pan. That's fine! Bake for 20-25 minutes until the rolls are turning golden on top. Remove from the oven to cool. In a small bowl, mix the glaze ingredients. 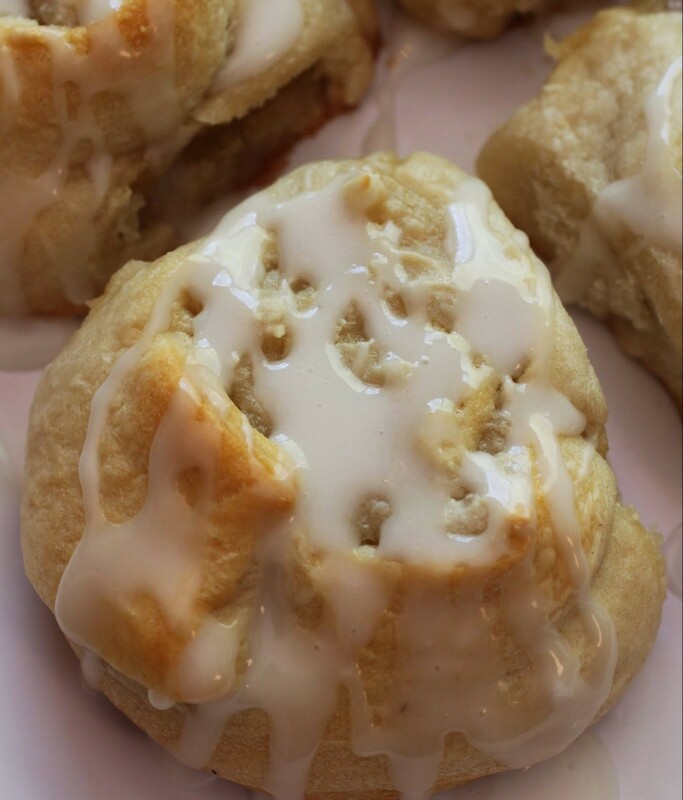 Using a spoon, drizzle the glaze over the rolls. Serve warm or at room temperature. Store in an airtight container. Do you ever get into a breakfast rut? Because I can relate. Over the years, I’ve cycled through so many breakfast options with the goal of keeping my first meal of the day quick to prepare and filling. Oh, and sweet. I like that shot of sweetness in the morning! Since forever, I’ve loved cereal. And while it’s hard to beat a bowl of cereal with milk, sometimes you want a little something different. 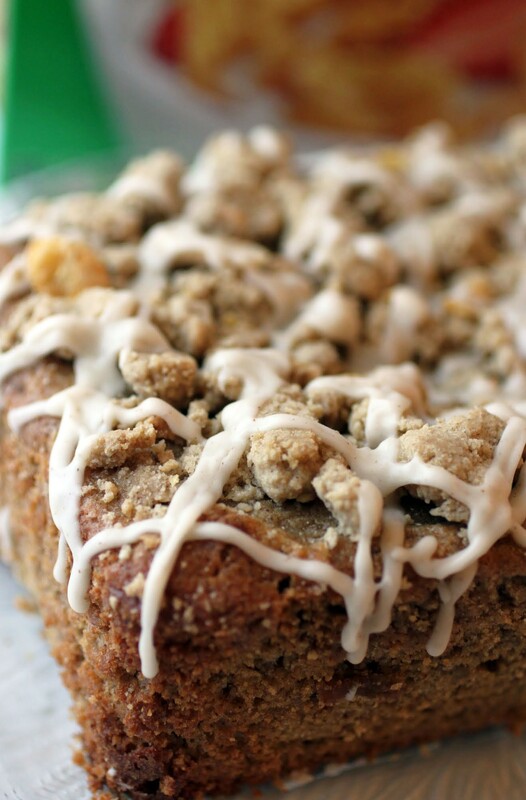 As a quick bread lover, this breakfast bread fits the bill. It’s topped with a crumbly, crunchy topping made with Kellogg’s Corn Flakes, and the recipe is easy enough to make with the kiddos! I’m really trying here, folks. You know, to come to terms with the end of summer. It ain’t so easy. As a warm-weather enthusiast, I greet cooler temperatures with about as much joy as a toddler greets a shot-wielding nurse. Over the past two weeks, my fellow awesome food bloggers have pulled out the pumpkin, heralding an early start to autumn. It’s still August, people! Rage against the dying of the light! I’m going to hold out against pumpkin for a bit longer. I mean, I love pumpkin. But I want to use it when I really need it, i.e., when the long sleeves start coming out of my closet. Oh this sounds like the perfect treat for Mother’s Day! I love that you made these flavored with almonds! And that glaze looks just perfect! Thanks, Gayle! Almond has always been a favorite of mine, so I have to give it some attention! 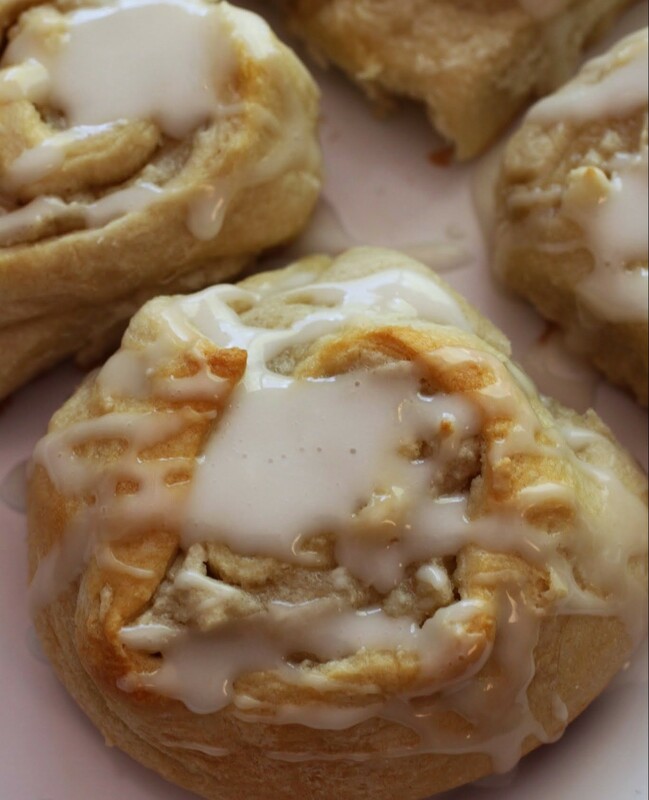 One of my first childhood memories is my dad making cinnamon rolls in the kitchen. He’s actually not a bad cook. The men in my family really like to make breakfast foods! These look delicious. Thanks for a simple recipe for all of the gents and children-helpers out there. 🙂 Happy Mother’s Day, Mir! My dad can also cook, provided it gets done in a frying pan. I think kids need this more than the guys! It’s like a beginning baker thing. Thanks, Erin! I love easy recipes, like love them. 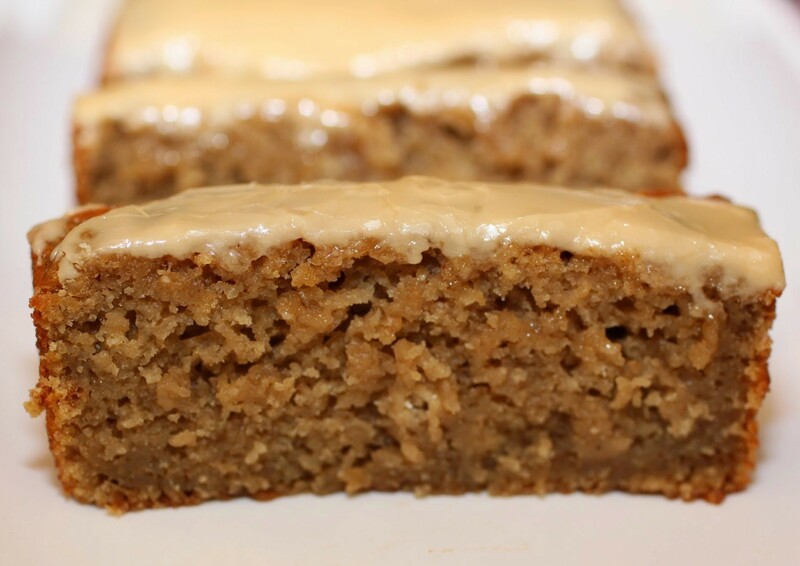 Anything that you can make taste like it was baked for hours gets a gold star in my cookbook. These look absolutely delicious! I want one (or two) now! And good ol’ Hershey, PA! I hope your stay was nice…my grandma actually lives really close to there and all my life I’ve never been! Guess I’ll put that on my bucket list! Thanks, Heather! You should check out Hershey. It’s kind of adorable, and there’s chocolate everywhere, so those are two good things. I’m glad you love the recipe! It’s just ridiculously easy. haha, I LOVE these!!! Printing this out for my husband now!!! and I don’t know any moms who are into reality TV or who red US Weekly so I think your mom is a-ok. . moms are great and your mom sounds fabulous! Hope she gets something extra special on Sunday! You too! Happy early Mother’s day! That’s right, Alice! Make him bake. He has no excuse not to now! And I got lucky with my mom. I hope she knows how grateful I am. Happy early Mom’s day to you, too! I wish I was close enough to mom to make this for her on Mother’s Day. I bet she’d love them. The almond flavor sounds fabulous! I’m lucky to live in the same area as my mom. But I’m a big fan of sending things via Amazon Prime! I’m sure your mom will love whatever you have planned, Jen! Happy Mother’s Day, Mir! 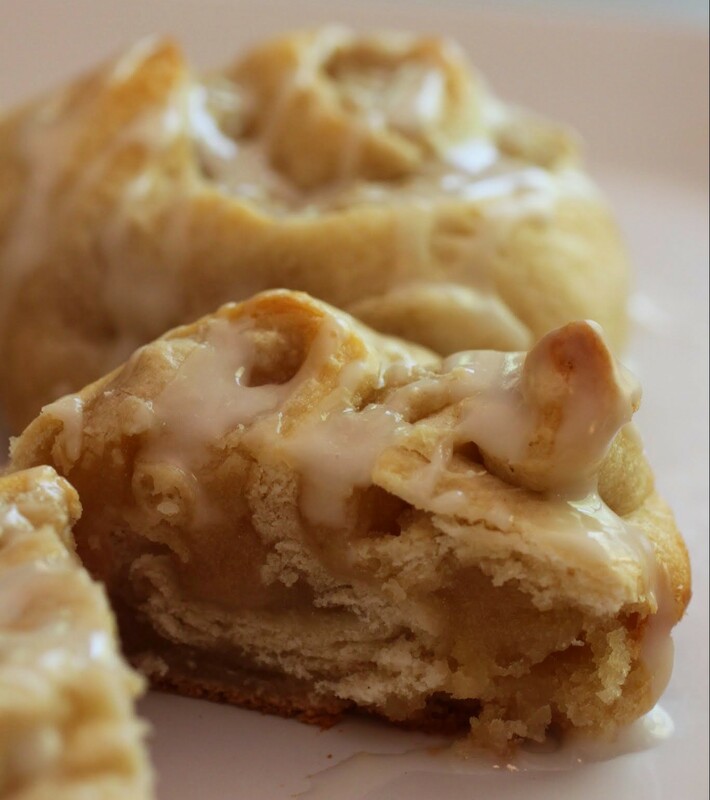 These Almond Sweet Rolls look so easy and delicious. I hope someone makes something yummy for you this weekend! I can’t wait to hear about your Hershey trip! Thanks, Rachelle. I wish people would bake for me more, but they express this unreasonable fear that I’ll be picky. So I get a lot of chocolate instead. I’m cool with that! 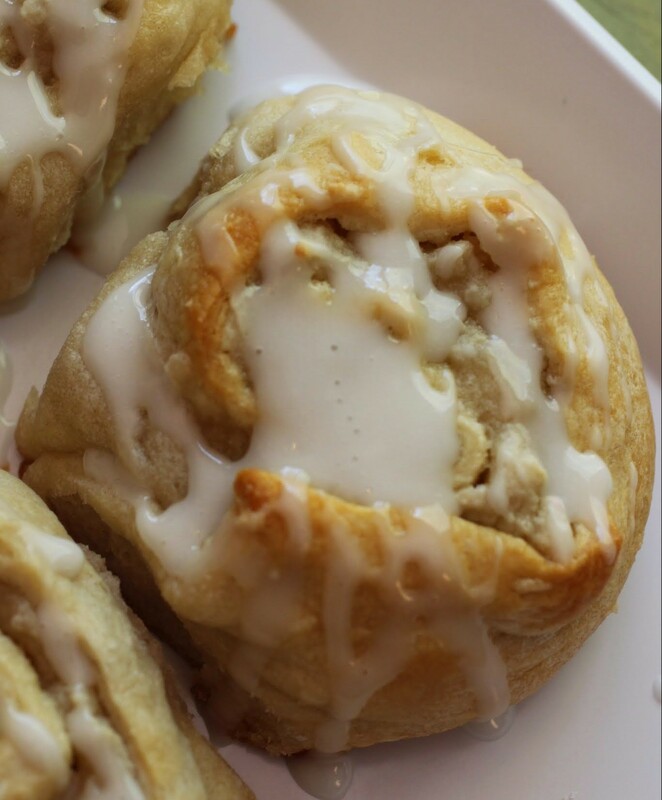 Almond sweet rolls is a great idea Mir! I’m sure these are amazing! Also, I totally just realized it was Mother’s Day coming up too, so you’re not alone! Oh, good. I never keep track of that holiday! Thanks, Stacey! wow you make it all sound so easy, like anyone can make this! Fantastic recipe Mir! I literally just started drooling. I kind of have a love affair with almond pastries and these look PERFECT! Trish – Mom On Timeout recently posted…Easy Banana Pudding Pie – From Scratch! Me too, Trish. I cannot resist anything almond! Thanks! They do feel that way, but they’re not. It’s kind of awesome, Medha!